Ahoy, mateys! Today is a fantastic day because it's International Talk Like a Pirate Day. So of course I had to do something for it on the blog since prates are so freaking cool. Sure, they can be brute and vicious and filthy and need their mouths washed out with soap, but they can also be misunderstood creatures with fragile hearts and sensitive souls hidden under all that roughness. (Aaand it doesn't hurt that they can be easy on the eyes.) 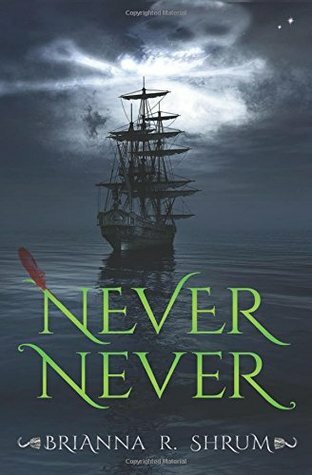 I've compiled a list of books I've read featuring pirates (honestly and sadly, there aren't that many) who are more than just pirates: they bring something extra to the ship and are bits of treasure, and I would maaaybe join their crews. But don't worry: they'll still threaten to make you walk the plank (and shove a sword through your rib cage) if need be. 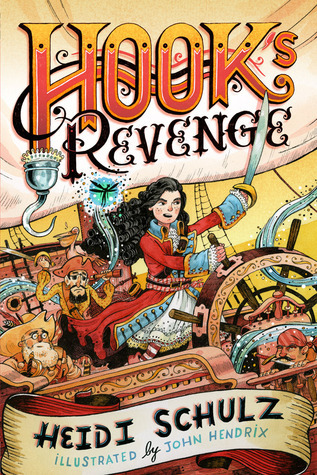 Jocelyn is probably the youngest swashbuckler in the history of ever, but nothing will stop her from taking revenge on the crocodile who killed her father, the one and only Captain Hook. She's stubborn and sassy and does not care to put up with your poo, thank you very much. But she struggles--she never really knew her father, and she has no clue what it means and takes to be a pirate, especially one like her predecessor. Fortunately, she has one very, very ragtag and eclectic and not awfully scary crew, a fairy, and a friend named Roger (ship ship ship) to help her along with the way. Revenge may be sweet, but friendship may be sweeter. Ah, TEACH. I'm cheating a bit here because Blackhearts (which has excellent Poldark vibes, by the way) isn't exactly a pirate story--it's more of an origin story, really, about who Blackbeard was before he was the infamous pirate, and what made him turn into such a notorious character. Blackhearts is a story centered around the core of perfect, perfect romance and all the best banter, I LITERALLY CANNOT HANDLE IT. That's what's interesting here: how the hell does Teach become Blackbeard? Maybe he had to read Blackhearts and suffer from that cruel, cruel ending. Here's the deal: I'm really not the biggest fan of the Shadow and Bone series. I'll be reading Ruin and Rising very soon so I can read Six of Crows (and avoid any possible spoilers for the other series), and I liked Shadow and Bone enough, but Siege and Storm was a doozy. It really only had one saving grace: the one and only Sturmhond. Privateer, pirate, whatever (and I unfortunately don't remember enough to go into details about what he does). He's the best character in this series--and the only one I really care about--I adore him, and if he doesn't survive then so help me. Rolfe, "The Assassin and the Pirate Lord"
Sometimes you meet a character but you're just passing by--they're not there for long and aren't in the series for the long run. That's the case with Captain Rolfe, the Pirate Lord of Skull's Bay we meet in the first novella in The Assassin's Blade. But DAMN, he's an excellent, interesting, and compelling magical map tattooed on his hands. Tell me more. Ughhhhhhhhhhhh. Ever since I read Tiger Lily years ago I've been trash for Peter Pan retellings and my ships for these characters have been fucked the hell up--and Never Never is one of my favorites. It's the pretty well known tale of Peter Pan, but from Hook's point of view, and it breaks my heart and finally shows why why why Hook hates Pan and wants to kill a child (something that stupid Pan movie failed to accomplish). It's sympathy for the villain--if the villain really is the villain--and the relationship between Hook and Tiger Lily kill me like don't even talk to me. It feels like a story, and such a familiar yet new perspective way to tell the story, and I love it. Nix & Co. are pretty damn cool, if you ask me. Each character is her or her own, with their own characteristics, personalities, quirks, and strengths--and weaknesses. And it just so happens that the Temptation isn't your average ship: it travels through time, so long as you have the proper map. It's not really about stealing treasure (I can't remember if that even really happened in the book)--it's about stealing time and forging your own past, present, and future, damn the consequences. It's a very interesting perspective when it comes to time travel, and as far as pirating goes--well, can you imagine what some people do with that kind of power? I did not expect to love this book when I read it, but I did--and it's really something else. 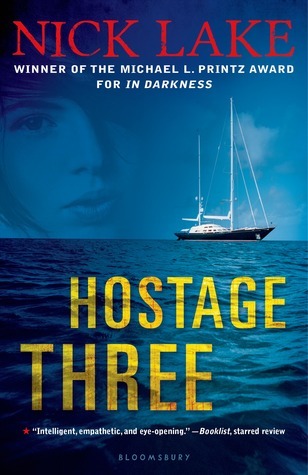 Unlike the other pirates and books on this list, Hostage Three sits on the border of realism as it explores a certain kind of pirate: those from Somalia. (Basically, think a YA version of Captain Phillips.) This isn't treasure hunting: this is being taken hostage by real people with real guns who aren't afraid to hurt you and who aren't satisfied by what's in your wallet or jewelry box: they want more, more, more, they starve for it. 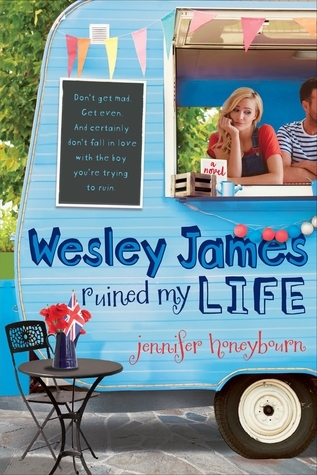 This book is fiction, but in a way, it's also not (but it is underrated as hell). I can't recall if Delilah Bard is actually a pirate, but whatever, who cares, because she is BADASS AS HELL. She's a cross-dressing thief with a penchant for adventure, and she yearns to see the world and all its treasure, and what makes her fit for this list is that adventure, the lust for it, the way her heart beats for it. Lila isn't the kind of person who's going to sit around and wait for something interesting to come knocking at her door. No, she'll find it on her own and take it by the reins and ride it until she finds the next one and the next one. And if you ask her, she's not going to die--not until she's seen everything. Which pirate's crew would you most like to join?